Recently, I'm in a huff about myself. Things are messed up. I thought cleaning my closet would help, but it is just one of the better parts. Every morning, though the alarm is at 5:38 in the morning (yes, five thirty 'eight'), I snooze it for ten minutes, and then with an indecisive mood, I finally get up and go to brush. Till I'm done with it, it is already 5:55. Realizing the time, I hastily go for a bath. I'm not an 'oh I love bathing' type of a person, so I come out of the shower in five to ten minutes. Till I'm out and about, it is 6:20. I 'need' to leave home at 6:30 for a 7 o' clock's lecture; however, after having breakfast and applying sprays and liners, it becomes 6:37 till I leave. The worst part is the road towards station: I just keep walking hurriedly, simultaneously managing my hair, water puddles and, the umbrella. Then after a reckless fifteen minutes' walk, I reach station. Yes, it turns around 6:50 till then, which means I just have ten minutes to reach college. So somehow, cursing Mumbai local trains, the imprudent crowd and the majestic Mumbai rains, I catch a 6:56, or sometimes a 7:05. Yes, 7:05. I'm five minutes 'in a bind' already, and I'm still at my home station. Anyway, the professors are totally cool because monsoon is the best time for excuses like "sir, trains were delayed". Anyway, the first part of Being Clumsy was getting up late and thus arriving late for lectures. Second part is the notebooks I write notes in! No one could ever believe that a stationary blogger like me uses her old, torn notebooks from school as her notebooks! It is gross. I would've definitely used them, but the pages are torn, and are getting detached from the middle. I also don't carry my Agenda and pencil pouch to college nowadays, as the bag gets heavy due to the umbrella. It is discouraging. So I don't feel like taking notes in class. I don't carry lunch box, and I get extremely hungry after 2 hours. Then after reaching home, instead of packing bag, writing blog, doing assignments, preparing for next day's college in the afternoons, I laze around, and pass time uselessly. In evenings, I spend time with my friends on terrace. So after coming home at 9, I have food, and sit on PC for the blog. As the preparation of the topic is not done, it gets tough to think for a topic in such a less time. 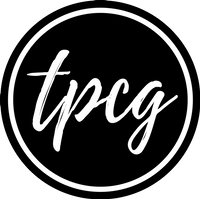 Maybe that's the reason why I haven't been creative or talented in the past few days on TPCG. So while writing blog or assignment, I struggle arduously to finish it before 11. After that, I pack the bag. And packing doesn't mean adding few books and removing few; but packing means changing the bag according to the outfit. I keep the outfit ready at night mostly. After a quick face-wash, and a glass of water, finally at 11:30, I lay my tired body on bed, and fall asleep till 12. The cycle repeats, but I still remain clumsy, and fail to make things better. 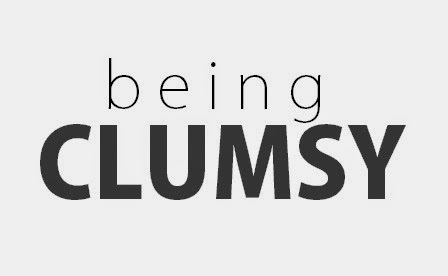 Are you being 'clumsy' lately?